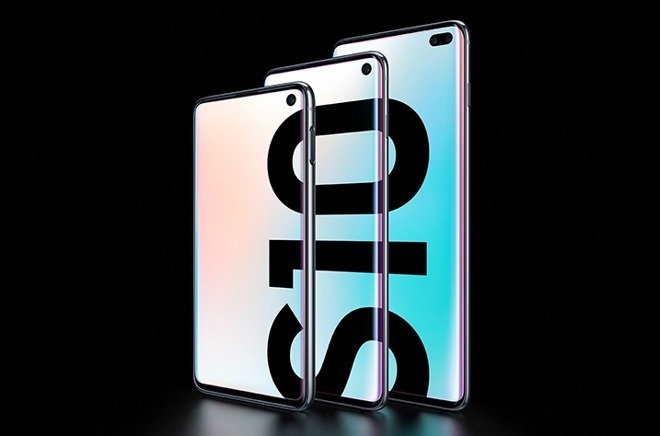 Citing a TF International Securities survey, Kuo in a research note to investors said pre-release demand for the Galaxy S10e, S10, S10+ and S10 5G is better than previously expected, prompting the analyst to raise shipment estimates by 30 percent. Samsung is now expected to ship between 40 to 45 million Galaxy S10 series units in 2019, up from prior expectations of 30 to 35 million units, Kuo said. The bump correlates to a 30 to 40 percent year-over-year increase in shipments as compared to last year's Galaxy S9 series. By contrast, Apple is estimated to have shipped some 66 million iPhones in the first fiscal quarter of 2019 alone. According to Kuo, consumers interest in Samsung's latest flagship is spurred in part by differentiation from Apple's competing iPhone devices, including advanced components like the S10's ultrasonic fingerprint sensor, triple-sensor camera system and Wireless Powershare. The latter feature allows the Galaxy S10 to provide power to Qi-compatible devices. Additionally, Kuo cites the market's bearish view on high-end smartphone growth, improvements in Chinese market demand and smartphone trade-in programs as catalysts for shipment estimate update. While the company is marketing four models in the Galaxy S10 line, Kuo believes the main line S10 and larger-screened S10+ will account for 85 percent of sales. Samsung suppliers are expected to reap the benefits of the Galaxy S10 line's popularity, including O-film, which nabbed orders for Apple's 2019 iPhone camera module. GIS, another supplier with ties to Apple, might also see increased revenue thanks to a year-over-year jump in iPad shipment growth, Kuo said. 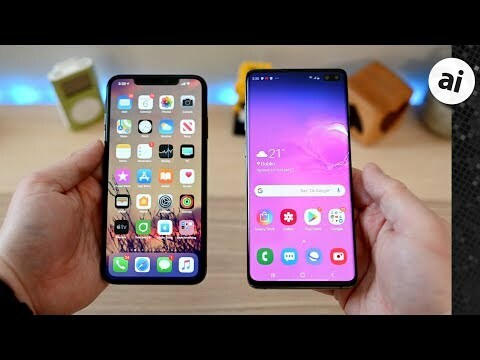 AppleInsider recently pitted the just released Galaxy S10+ against the six-month-old iPhone XS Max in a benchmark showdown. The Samsung device, equipped with an eight-core Snapdragon 855 processor with 8GB of RAM, bested the iPhone's A12 Bionic in more than one test, including Geekbench multi-core, AnTuTu and GFXBench evaluations. Apple's flagship held its own, however, beating out the S10 in Geekbench single-core and Octane scores. That's just typical for Samsung. Yet idiots still like to tout their 300 million yearly "smartphone" sales as if $50-100 phones are in the same market segment as the iPhone. But how do these phones compare as phones. The XS was reported 26% faster than X. Is it faster/better than the S10? How do the intel Modem measure up to the Qualcomm modem? I can totally see the S10 selling well. I’ve been using the 3 new models all week, and for once, I actually like it. Much better than the S9 for sure. The display is extremely impressive and the punch hole is really a non issue, much like the iPhone’s notch. By no means am I an Android buyer, but if I had to choose one to use, it would definitely be the S10+. In Prism White. Very nice in person. So I guess we shall see how it fares starting tomorrow.